‍Gradient.io, the pioneer in applying machine learning to help marketers drive sales performance on Amazon, announced today it has raised $3.5 million in seed capital to scale its platform. The round was led by Flying Fish Partners with participation from PSL Ventures, MDC Ventures and Black Jays Investments. With 55% of online shoppers starting product searches on Amazon, digital point­-of-­sale marketing is rapidly becoming one the most important frontiers where brand marketers must compete. To help brands navigate this complex ecosystem, Gradient.io brings together the specialized expertise of a former Amazon executive and a leading direct-­to­-consumer brand engineer with machine-­learning, proprietary technology and algorithms that analyze thousands of data points across the marketing mix to maximize digital presence, conversion rates and sales. Prior to founding Gradient, Figueroa led Amazon’s Advertising Global Operations team, where he helped brand marketers optimize their Amazon spending in a more transparent, scalable, and efficient way. Together with CTO Vikram Oberoi, former VP Engineering at Harry’s, they are poised to influence the way billions of dollars are spent to drive purchase decisions. 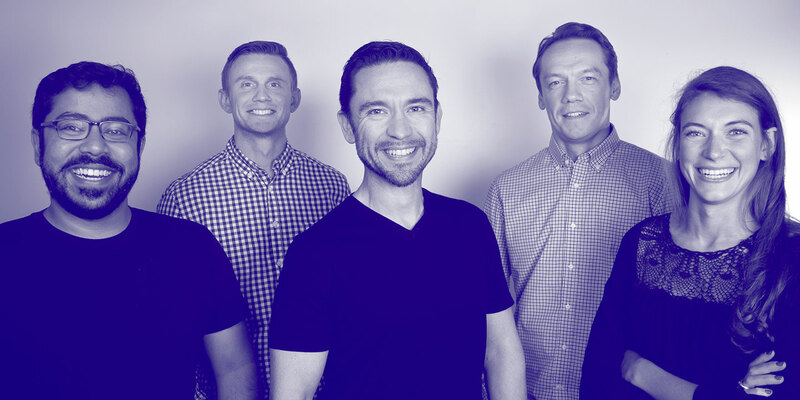 ‍Gradient.io was founded in 2018 to help brands drive sales online with the use of proprietary machine learning technology to manage and optimize digital point­-of-­sale. Their machine learning tools provide real-time, in-depth, accurate and data-driven insights that cover every aspect of brand performance. This maximizes shelf presence and customer conversion while increasing ROI for a truly efficient marketing spend. For more information, visit www.gradient.io. ‍Flying Fish Partners, founded in 2016 and based in Seattle, is an early stage venture firm focused on providing capital and value­-added support to fast­-growing, high potential technology companies in the Pacific Northwest and British Columbia. The firm invests capital, expertise and relationships in early stage startups with big ideas. For more information, visit www.flyingfish.vc. ‍PSL Ventures is an early­-stage Seattle­-based startup studio and venture firm that finances, creates and launches invests in technology startups, primarily based in the Pacific Northwest. PSL Ventures is part of Pioneer Square Labs, which also operates a startup studio to create and launch new companies. For more information, visit www.psl.com. ‍MDC Ventures is the corporate venture capital arm of MDC Partners, investing in seed stage, B2B marketing technology companies transforming the global advertising landscape. Since 2011, our Ventures group has been partnering with the innovators, entrepreneurs and startups addressing the needs of the modern CMO. For more information, please visit us at www.mdcventures.vc. ‍Headquartered in New York, Black Jays Investments provides investment and support to early stage founders looking to redefine the industries in which they operate. Startups we work with are aiming to fundamentally re­imagine consumer behavior or the way everyday products and services are delivered. We focus on the Media, Consumer Internet, eCommerce, and Retail sectors. For more information, please visit us at www.blackjays.vc.